The Club takes great pride in providing as many athletes opportunities to succeed at the highest level and prepare for Next Level volleyball. With that in mind the line-up of 17u coaches are perfectly suited to get the job done. At 17u boys seasoned veteran in Bruce Dunning, while on the girls side a familiar face in John Nguyen with the 17u Goldrush and with the Eldorado a sophomore to the club, however Matt is in his second decade of club volleyball head coaching. Bruce Dunning, a professional educator with the OCDSB, is a certified Advanced Development Coach and is half way through his Performance Coach – Indoor certification courses. Bruce began coaching while still in his teenage years and the fire continues to burn in his approach and commitment to his athletes to this day. Bruce began his playing career with Sir John A MacDonald HS winning multiple City titles. He was recruited to play for the York Yeomen (now Lions) during the 1980's where he was selected as an OUAA all-star. Early Coaching development came as the Head Coach for an emerging Algonquin Thunder program that consistently challenged for OCAA supremacy and produced both Provincial and National All-Stars and National team members. During his tenure with the Thunder, coach Dunning was selected as OCAA coach of the Year. He also guided the Region 6 Program on numerous occasions, bringing home the OSG Gold medal in 99. This is actually his second tour coaching with the Maverick Club working in 1993/4 with the likes of Jason Trepanier and Jeff Mooney. Coach Dunning led the 2009 Mustangs to our first Top 8 finish at Nationals and return the next year to assist in claiming the 2010 National Gold. During the 2015/2016 season, Bruce helped to get an unprecedented 9 athletes invited to the Team Ontario selection camp of the 24 invitations province wide. Bruce was awarded the OVA Developmental Coach of the Year for his efforts. This past season, the 2017 18U Mustangs earned an Ontario Provincial Championship title with coach Dunning at the helm. A proud father, Bruce's children (Gabrielle and Jackson) have both been chosen as OVA all-stars and beginning in Sept, Jackson will join Gabrielle at Ryerson University in Toronto as members of the Rams. 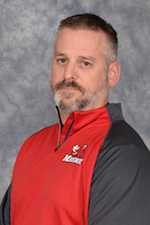 Bruce is another coach in our Mavs line-up with 30 plus years of experience at multiple levels and with both genders. He has worked with athletes ranging from our Young Mavs Camps, through all club group age categories, Regional/Provincial Teams and post-secondary volleyball. The 2017/18 Rangers will benefit from his wealth of knowledge and experience as they strive to push their way to the top ranks of the OVA/VC and explore their post-secondary volleyball paths. John Nguyen enters his 17th season with the Club and his 21st season coaching volleyball. John is a former Maverick player in the early 90's. Nguyen has been instrumental in the resurgence of the club on the OVA scene with his tireless work behind the scenes with not only the Mavs but also with Region 6 and the OVA executive. 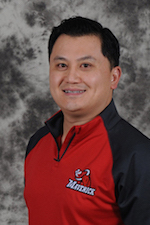 Nguyen is a certified Advanced Development Coach (formerly NCCP L2) and is half way through his Performance Coach – Indoor certification courses (formerly NCCP L3).Coach Nguyen returns to coach the 2001 birth year after guiding the 2017 16U Blackjacks to a bronze medal at the 2017 National East Championships, a third place finish at the 2017 Mizuno Capitol Hill Classic in Washington, DC, 2016 15U Ambush to a tied for 5th at the 2016 15U Ontario Championships and a 4thplace finish at the 2016 National East Championships. · Selected to FISU National Team, Senior Women’s National “B and the Senior Women’s National “A” Teams. 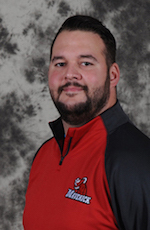 Matthew Monych, who is entering his second season with the club and his 13th season coaching club volleyball in which he served 8 years as the Technical Director for the Knights Volleyball Club (Pembroke, ON). Matthew is an Advanced Development Coach under the new Volleyball Canada coaching model. Coaching high performance athletes is nothing new to Matthew as he has been doing so for many years including past and present CCAA, CIS/USport, NCAA and NAIA stars. In Matthew's first season with the Mavs his team, the Mavs 17U HP Girls Gold Rush, spent all of 2016/17 in the OVA's Premier Division (the team's first ever appearance throughout their club careers) and finished the year with a VC Nationals Division 1, Tier 3 Gold Medal. Matthew returns to the Mavs High Performance coaching lineup with his coaching staff which includes Shane Cybulskie, a 6th year assistant with Matthew and former CCAA player with Loyalist College, and Jenna Yaraskavitch, a 2nd year assistant and former high performance club player of Matthew's who has completed her Masters in Human Kinetics studying Sport and Performance Psychology. Matthew and his coaching staff are focused on athlete development and look forward to bringing their collective experience and passion for the game to the 17U Girls age division for the 2017/18 season.